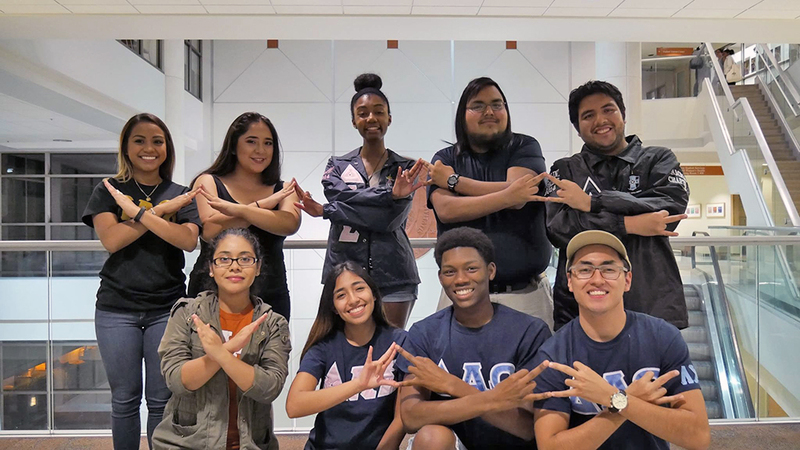 The Multicultural Greek Council (MGC) is the newest council sponsored by Sorority and Fraternity Life. It is the governing council that represents and advocates for sororities and fraternities that are multicultural-by-mission. Sororities and fraternities within the MGC also promote multicultural membership among their organizations. There are four organizations currently affiliated with the MGC at The University of Texas at Austin. The MGC mission is to unite multicultural sororities and fraternities and create a supportive and strong multicultural Sorority and Fraternity community by promoting success in higher education, increasing diversity and multicultural awareness, and developing philanthropic activities. MGC hosts an annual MGC Week highlighting the mission of the Council and the goals of its member organizations. If interested in joining a MGC organization, you should plan on attending events hosted by the MGC as well as the affiliated organizations that are of interest to you. Individual Chapters organize the majority of recruitment activities so please contact them directly for additional information.